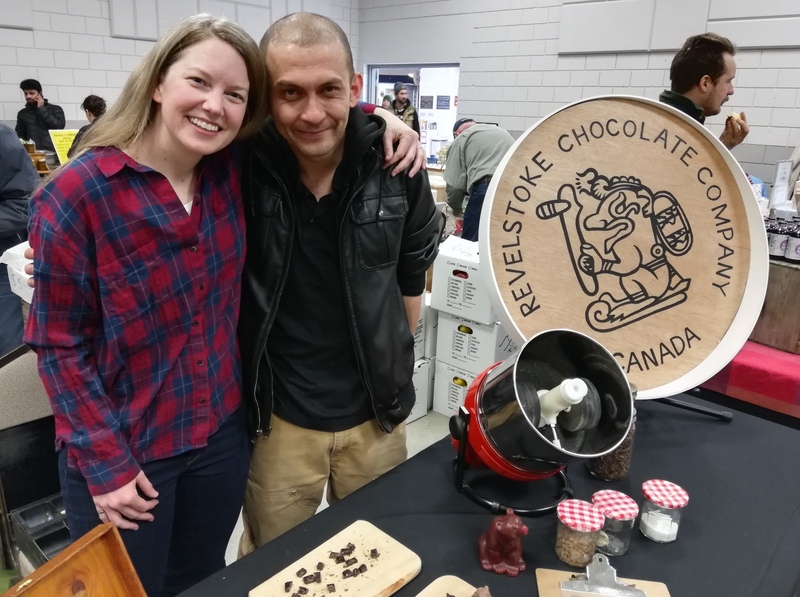 Revelstoke Chocolate Company debuted their anticipated delicacies today at the Revelstoke Winter Farmers’ Market. 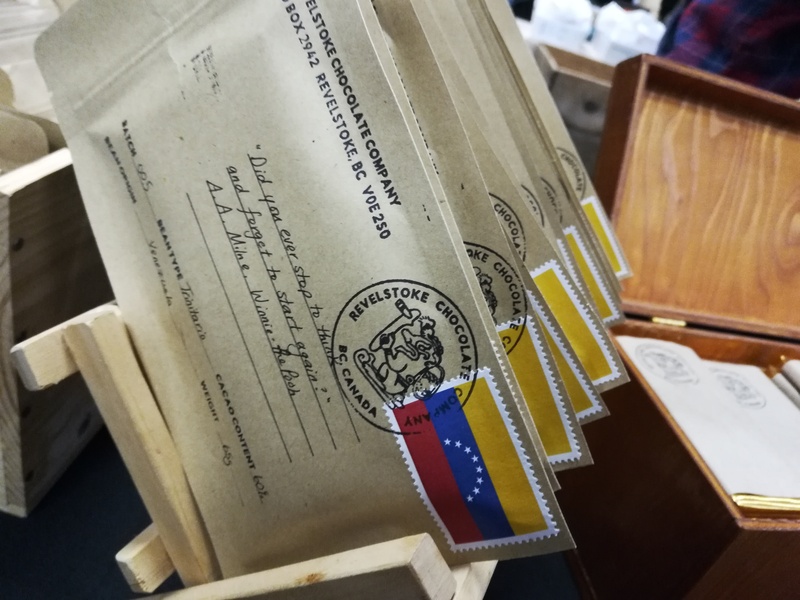 There are a selection of artisanal chocolate bars available, packaged adorably. Roberto Price and Erin Kerwin are working on a selection of fine chocolate bears with historic Revelstoke flair. The molds were created by Vancouver based artist, Catheryn Jenkins. She is the daughter of the artist who created the iconic downtown Revelstoke bear sculptures. “She kindly sent us this bear mold,” says Price. The business was originally the brainchild of Price, who started creating chocolate in his spare time. He met Kerwin at a bookkeeping course. “As luck would have it, she sat right next to me,” he says. The pair, they discovered, make a chocolatier dream team.